Seafood for your garden? Yes, with FoxFarm's Marine Cuisine dry fertilizer. With this potent time-release fertilizer for outdoor plants, you'll only need to apply just 1-2 times a year! The organic and mineral-based nutrients provide a balanced diet with consistent feeding all year. Use Marine Cuisine on all evergreen trees and shrubs, acid-loving plants, and many vegetables. 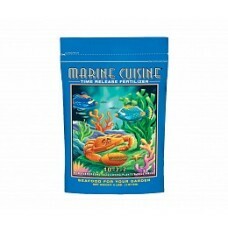 Use Marine Cuisine at planting time or scratch into surface and water in. 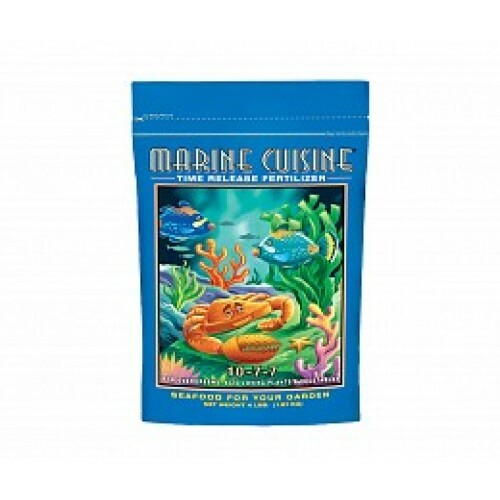 Marine Cuisine's organic-based formula contains specific ocean bi-products, plus low salt plant foods known for their powerful effect on plant life. It encourages beneficial microbe populations needed for optimum growing conditions and helps soil naturally defend against harmful nematodes. Growers find it ideal for vegetables and flower gardens. Try Marine Cuisine for yourself and go "fishing" for long-term feeding with staying power.